Grafton Street School is a historic Worcester school. It was built in 1879 and was added to the National Register of Historic Places in 1980. This elementary school serves hundreds of students from multiple areas in the city. 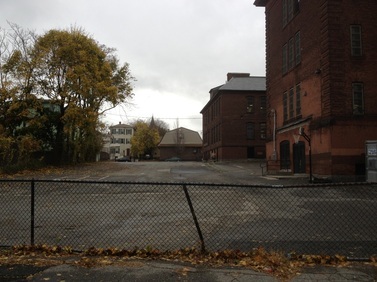 Before Working for Worcester, the Grafton was in desperate need of schoolyard renovations. 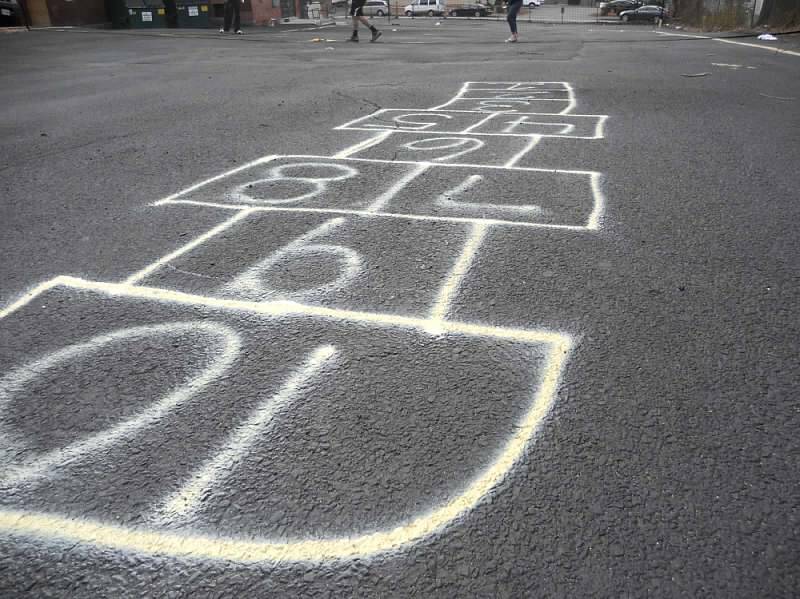 Given that the setting is very urban, the pre-existing play area consisted of only a broken asphalt clearing that sits behind the the school on an incline. 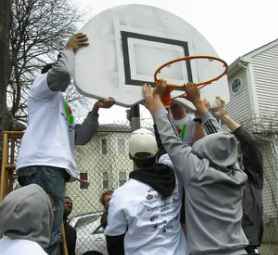 WforW volunteers including collegiate basketball, hockey, and lacrosse players, local neighbors, and college students came together to build a complete basketball court in the formerly barren asphalt clearing. 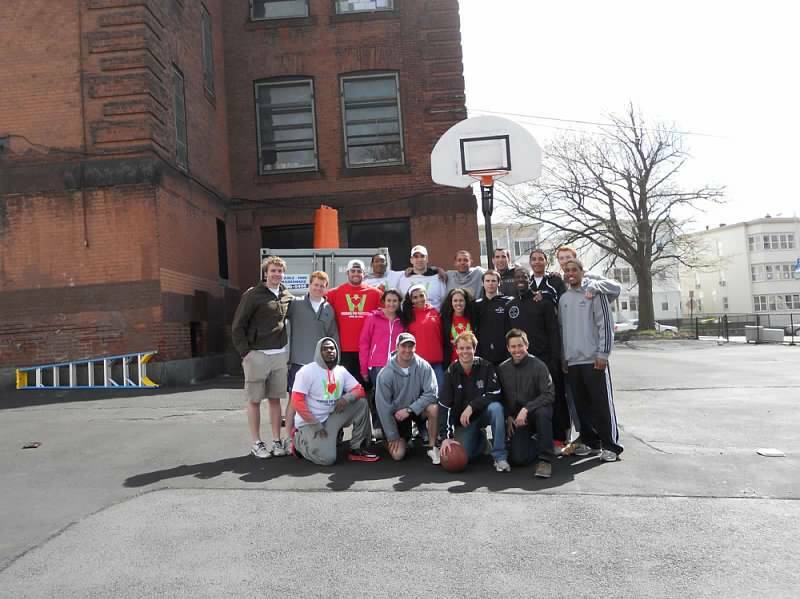 Professionals repaved the basketball area and re sealed the entire schoolyard. 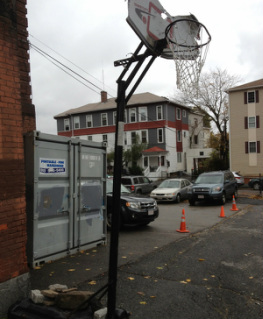 We installed in ground, commercial basketball hoops and engineered a fully painted court. We even installed two in ground titanium benches appropriately marked for the home and away teams. This new court even has the school mascot, the gators!, painted on the court. 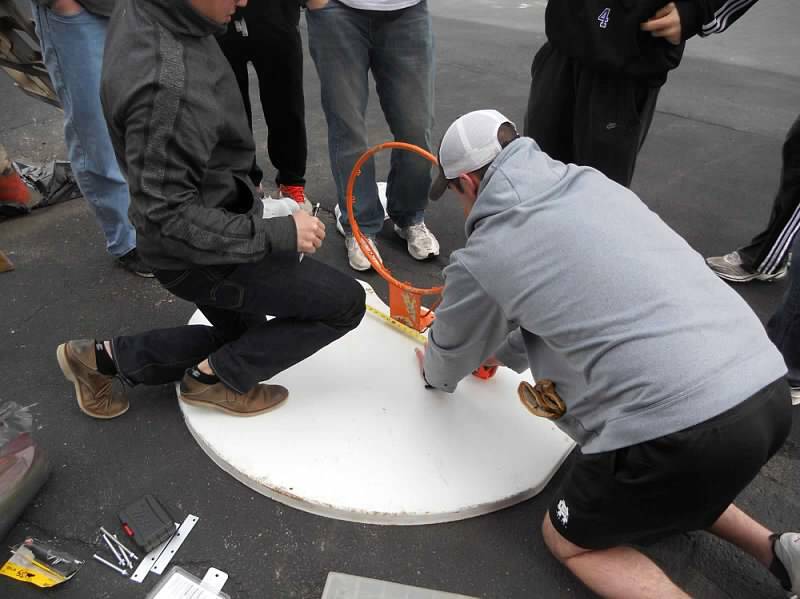 In the middle of the play space, a few engineering students constructed a retractable net that can separate the playground and stop loose balls from constantly rolling down the hill and interrupting basketball games. 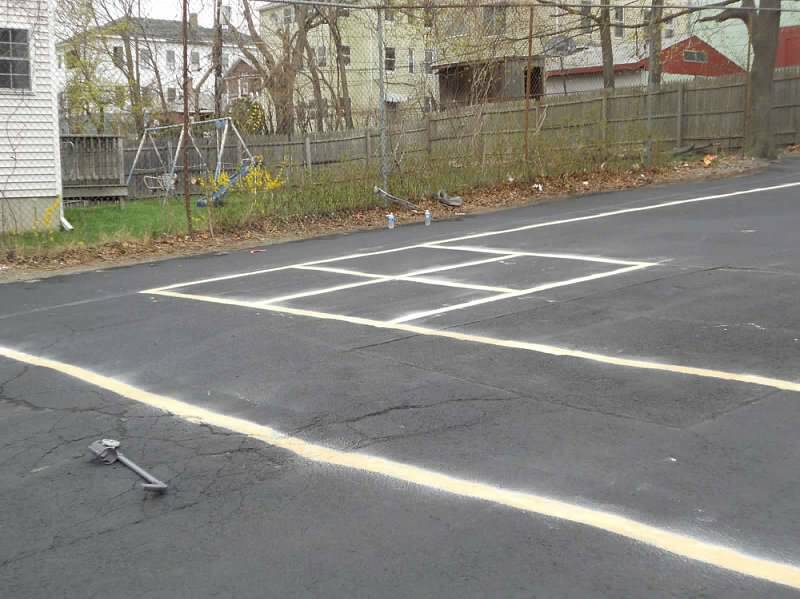 We also painted track lines, foursquare courts, and a kickball diamond down the other end. The principal and kids are ecstatic about the new court. 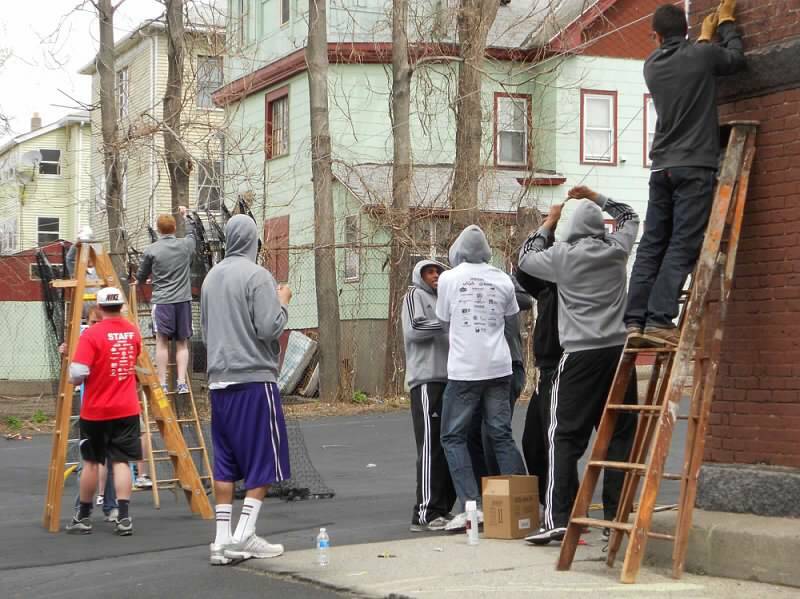 They are going to use it for afterschool recreation programs and for a neighborhood summer basketball league. One of the most rewarding experience of this project has been driving by the school on a Sunday afternoon to see families out there playing ball on the new court! Cite co-managers Mark Williamson and Colette Houssan planned and coordinated all aspects of the Belmont Street School project. To learn more about Mark, Colette and the rest of the project's managing team, click here.